← Wow! You never thought this could happen to you when you used a fake MC! Annie Ooi Siew Lin (Auntie Bersih) is fined RM2,000. Badrul Hisham Shaharin (Chegubard) is fined RM6,000. Adam Adli Abd Halim is fined RM6,000. Muhammad Safwan Anang@Talib is fined RM6,000. 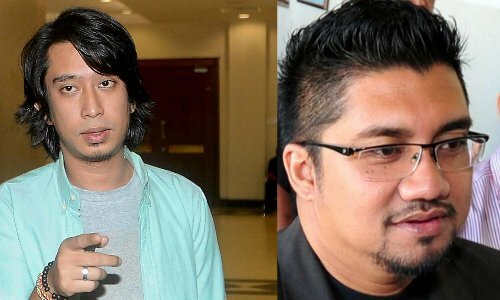 KUALA LUMPUR: Activists Badrul Hisham Shaharin (popularly known as Chegubard), Adam Adli Abd Halim and Muhammad Safwan Anang@Talib were among 10 people fined RM6,000 each for rioting and being members of the illegal Blackout 505 rally three years ago. Sessions Court judge Abdul Rashid Daud today handed down the penalties after he ruled that the prosecution had succeeded in proving their case beyond reasonable doubt. Badrul, 38, Adam, 27, Safwan, 27, and seven others were convicted of committing both offences at Jalan Parlimen, Dang Wangi here, between 9.15am and 11.25am on June 24, 2013. The other seven accused were Norazimah Mohamad Nor, 41, Ahmad Shauqie Abdul Aziz, 26, Ahmad Syukri Che Ab Razab, 31, Lim Sue Pei, 59, Edy Noor Reduan, 35, Md Sani Md Shah, 38, and Ekhsan Bukharee Badarul Hisham, 25. Abdul Rashid ordered them to serve nine months imprisonment if they fail to pay the fine. 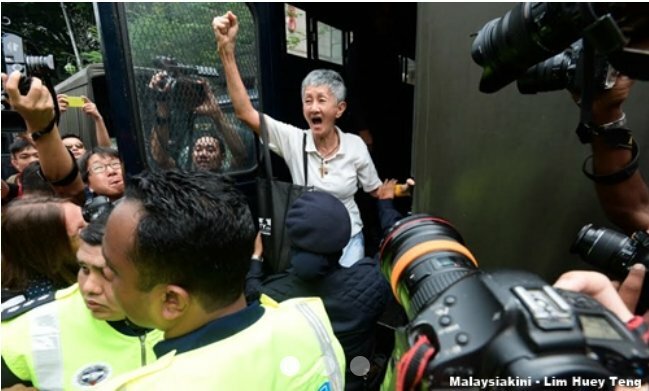 The judge also fined Muhammad Aiman Hakim Zainal Arifin, 23, Mah Chee Hoe, 25, Tong Chan Sang, 60, Abdullah Hassan, 64, and Annie Ooi Siew Lin (Auntie Bersih), 70, RM2,000 each for being members of the same unlawful rally. Abdul Rashid ordered Aiman, Mah, Tong, Abdullah, and Ooi to serve three months jail if they fail to settle the fine. This entry was posted in Uncategorized and tagged #Blackout505 Rally, adam adli, anwar ibrahim, auntie bersih, blackoutrally, Chegubard, malaysia, politics. Bookmark the permalink.